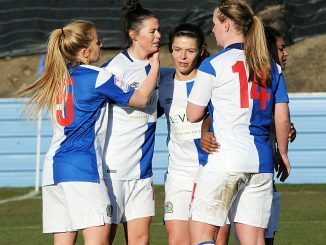 Blackburn Rovers beat Leicester City 3-1 in the FAWPL Cup final, C & Basildon resumed leadership of the Southern Division and Hull City took a step toward the Northern Division 1 title. 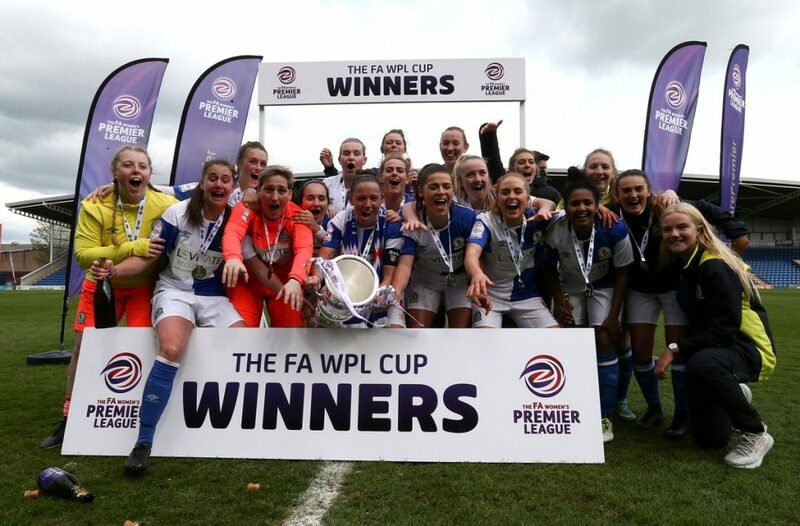 Blackburn lifted the League Cup with a 3-1 result at Chesterfield over Leicester City WFC, who had taken the lead through Sophie Domingo. Saffron Jordan won a penalty which Lynda Shepherd converted. Shepherd had an effort ruled out before the break but Ellie Cook gave Rovers a 2-1 lead with 17 minutes left and Jordan sealed the trophy late on. Middlesbrough failed to extend their Northern Division lead when losing out 4-3 at Fylde, having led 3-2. Jenna Carroll hit a hat-trick including a penalty, with Leah Foster the hosts’ other scorer. Wolves fought back to beat Guiseley 2-1 and get off the foot of the table at the Vixens expense. 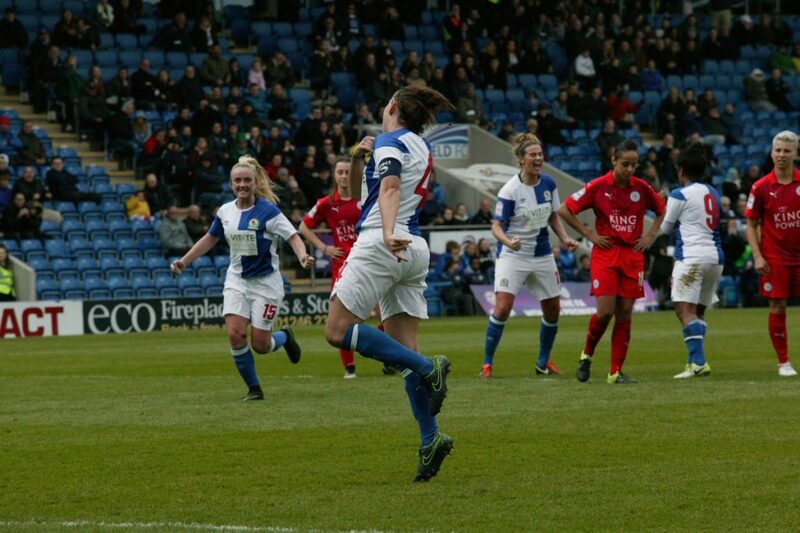 Substitute Charlotte Criddle got an 89th-minute winner after Jen Anslow cancelled out Emily Heckler’s opener. West Brom were beaten 2-1 at home by Derby, Andi Bell converting a stoppage-time penalty. Bell had opened the scoring for the Rams and Natalie Murray levelled with 20 minutes to go. Nottingham Forest edged Bradford 1-0 with a Hazanna Parnell effort, the Bantams denied a late leveller by the bar. C & K Basildon are back at the Southern summit after a 4-2 victory over Portsmouth. 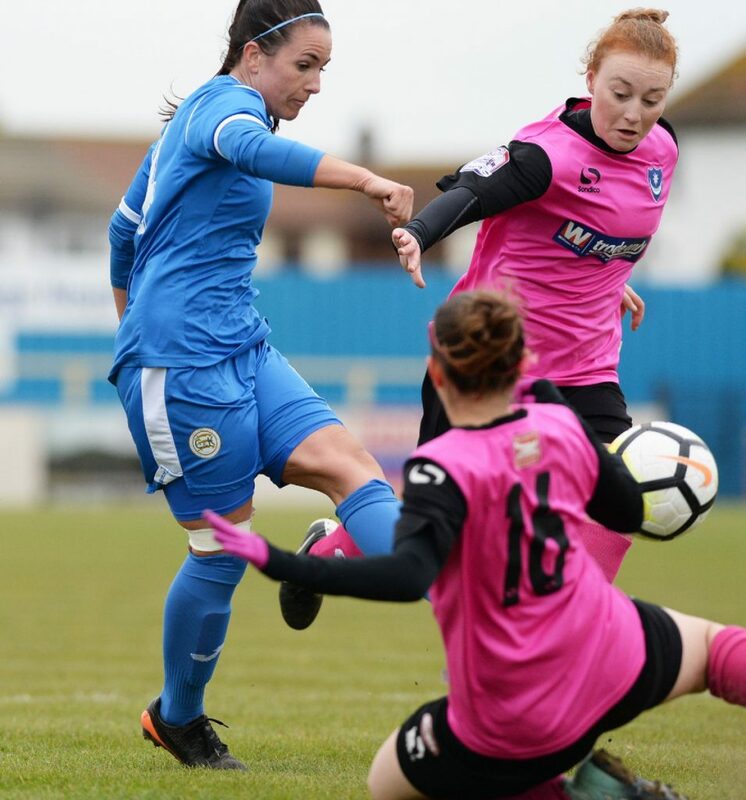 Angela Addison, Jay Blackie, Laken Duchar-Clark and Therese Addison shared the spoils, Pompey scoring through Daisy McLachlan and Shannon Albuery. Charlton also went above local rivals Crystal Palace into second when walloping QPR 11-0 away. Kit Graham featured with five goals, Georgia Griffin got a couple and there was one apiece from Olivia Lukasewich, Hannah Churchill, Kim Dixson and Charlotte Lee. Lewes came away from West Ham with a good 2-1 win, despite Kelly Wealthall’s early goal for the Hammers. The points went back to Sussex after second-half goals from Katie McIntyre and Amy Taylor. 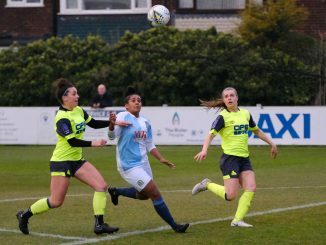 Coventry won the mid-table game at Chichester three goals to nil, Maz Gauntlett, Amber Hughes and Lois Jeffries on target. Midlands champions Loughborough Foxes won 4-1 at TNS despite going behind to Charlotte Canlett’s 2nd-minute goal. Charlotte Cooper levelled, Olivia Bramley scored twice in 8 minutes and Laura Steele stuck away the fourth. Sheffield United stayed second when winning 5-1 at Birmingham & West Midlands. Natalie Shaw hit a hat-trick, Georgia Stevens and Hollie Barker one each, Charlie Fisher pulling one back. Third-placed Burton sunk Rotherham 7-0 after only leading through a Sophie Bonser goal at the break. Hannah Baines, Paris O’Connor and Amelia Robb all netted before Jordon Atkin bagged a brace and Lily Cocking completed the scoring. 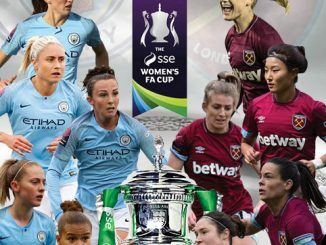 Radcliffe also scored seven times at Steel City and Long Eaton got all three goals at Leicester City Ladies, where Jade Arber, Viki Adams and Rebecca Lindley got on the score-sheet. 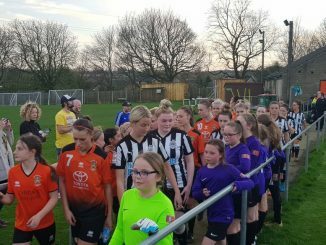 Hull beat Brighouse 2-0 to take a step toward clinching the Northern Division 1 title, Nat Bell and Katie Thompson their scorers. Newcastle went eighth with a 2-0 victory at Crewe, Rhiannon Gray and Steph Ord on target. Bolton were held 2-2 at home by bottom of the table Barnsley, as Alayna Millard came on with 20 minutes to go and score twice. Chester le Street sent Leeds home beaten 3-, with goals by Laura Hockaday, Nichole Havery and Kacie Elson. Ipswich are four points short of South East leaders AFC Wimbledon after running out 7-2 winners at Stevenage Natasha Thomas netted four times with singles from Zoe Cossey, Miagh Downey and Roxy Small, while the home side replied through Kristi Burling and Nicole Emmings. MK Dons leapfrogged Leyton Orient into third having hit them 6-2 at the Matchroom Stadium. Leading 3-2 at the interval, victory was secured with two from Heather McDonnell and an Anna Loftus 30-yard lob. Cambridge edged Enfield 1-0 with a Laura Baker goal to go seventh and Actonians hit Haringey 10-0 to rise to fifth. Keynsham are third in the South West after a 6-1 success at Poole Town, achieved after the hosts went ahead through Jemma Tewkesbury. Kerry Bartlett got a couple for Keynsham, as did substitute Christina Vega Leandro, with one each from Justine Lorton and Michelle Munro.